Dental care is important for everyone. But there are differences when it comes to the oral health needs of men and women. 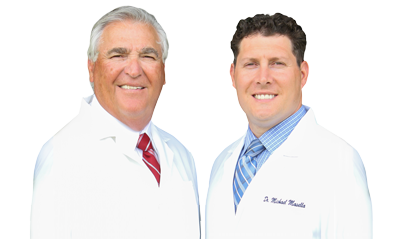 In fact, men are more likely to suffer from serious dental problems than women, and that’s worrisome for everyone at our dental office in West Caldwell. Let’s look at a few concerning facts. Less Likely to go to The Dentist. Men across the country are less likely to go to the dentist the recommended twice a year than females. Instead, men tend to only see their dentist when there’s a problem. However, regular dental check ups and dental cleanings help diagnose and treat small problems early, reducing the risk for larger, more serious issues. More Likely to Need Advanced Care. 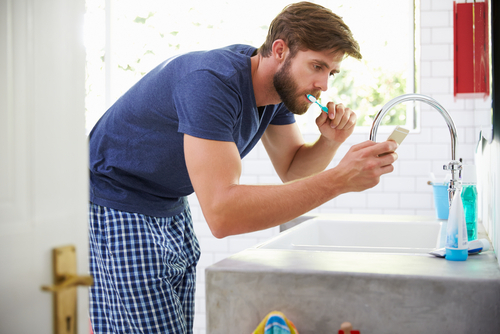 Since many men seem to avoid dental check ups that can help keep dental treatment to a minimum, it’s not surprising that these men need more advanced care. Perhaps one of the most common dental problems that can lead to more in depth treatment is decay. When decay isn’t treated early with a filling, the chance for a root canal and dental crown increases. What’s more, there’s even a chance the affected teeth may fall out or need to be pulled, creating the need for a dental bridge, dentures, or dental implants. Twice as Likely to Have Oral Cancer. Men are two times more likely to suffer from oral cancer than women. Oral cancer is just as serious as any other type of cancer, but if caught early, oral cancer treatment can be incredibly successful. Preventive care appointments make this possible. When it’s not caught early, treatment becomes more difficult and may result in a number of other problems including death. Over 8,000 people die every year of oral cancer. Don’t let oral cancer jeopardize your life. Keep regular appointments with your dentist. Increased Risk for Gum Disease. Research conducted by the Academy of General Dentistry (AGD) found that men are more likely to have gum disease. In fact, 34% of men between 30 and 54 have gum disease compared to 23% of women. Gum disease isn’t just a mouth problem, it’s a whole body problem that can lead to heart disease, respiratory disease, and certain types of cancer. Maintaining twice a year visits with your dentist can help keep the bacteria that leads to gum disease away. There are many reasons people avoid the dentist. Whether it’s due to embarrassment, fear, or something else entirely, it’s important to see your dentist in West Caldwell at least every six months to reduce the risk for these serious problems. If you’re in need of a dentist, call our West Caldwell dental office to schedule an appointment. Welcoming patients from West Caldwell, Fairfield, Roseland.